They are all big swords, most with blades between 36 and 40 inches long, an inch less or more (90-100cm), and quite wide (over 2 inches, 5.5cm). They weigh between 3 and 4 pounds, sometimes even more. 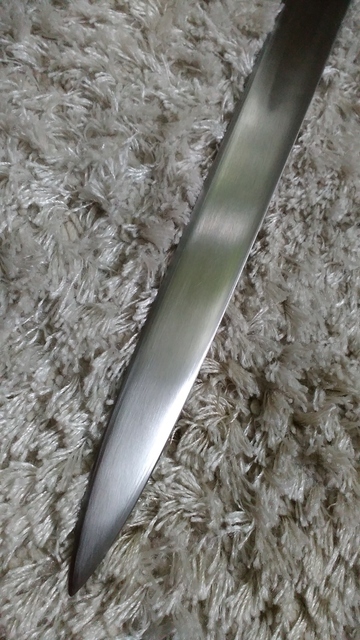 Blades seem to be made in southern German area (Passau circle, but feature various makers marks). I'm not sure about the fittings. 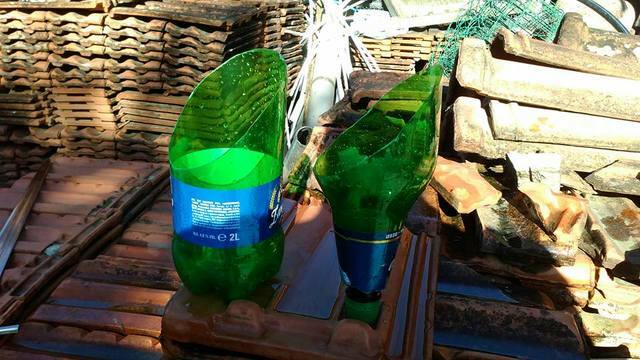 They might have been made there too according to eastern european tastes, but also could have been locally made by eastern european cutlers. Blades usually fall into XIIa, XIIIa and XVIa types by Oakeshott, but would nicely make their own new type. 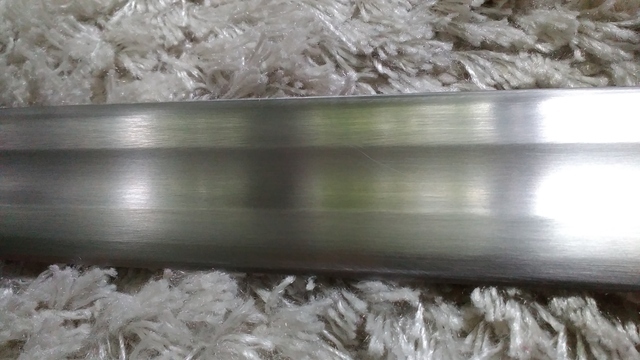 They are rarely so tapered as most of XVIa blades are, some are quite parallel like XIIIa blades, but most are in profile most similar to XIIa type. Geometry of the blade can be lenticular or soft hexagon. 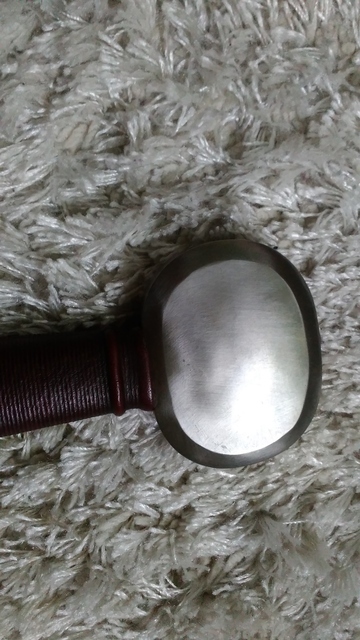 Pommel is usually type H1 and guards are type 1, 2, 5 and 7 as far as I have seen. 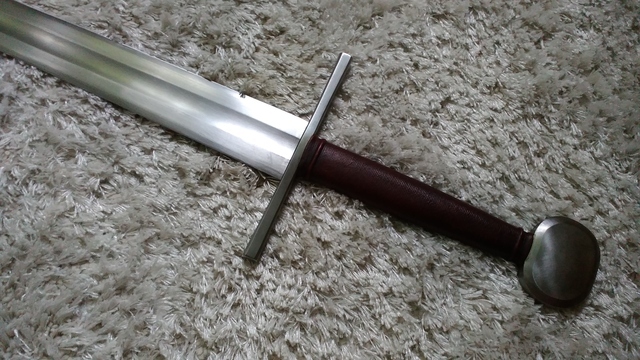 Maciej's example has type H1 pommel, type 2 guard and blade that I would classify as XIIa with nicely wide and long fuller on a blade of soft hexagonal cross section. 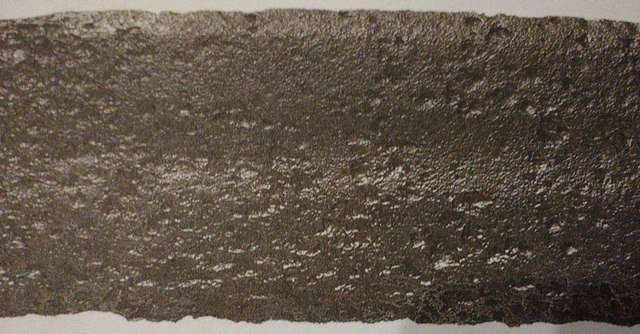 This cross section was popular in 14th century warsword blades to retain a wide and thin body that cuts easily through layers of cloth and flesh underneath, but also have a strong edge supported with enough material to survive contact with other blades or armour. 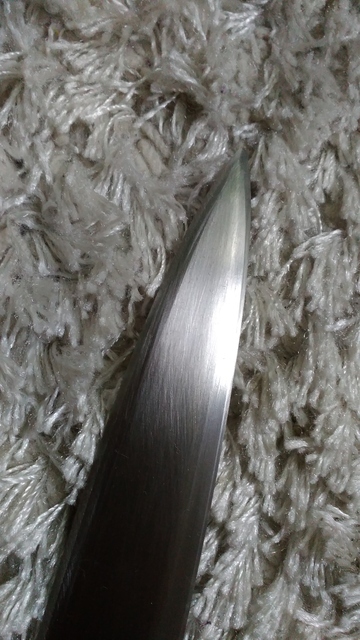 I measured thickness at a few spot sin the blade and this is what I got: 4.5mm at the crossguard, 4mm 20cm from the guard, 3.5mm at 60cm from the guard and 3mm a few cm before the tip. As you can see, blade is quite thin, but not overly flexible. 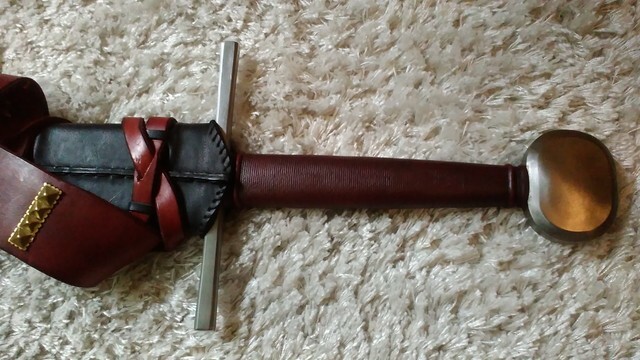 But based on it's rather thin blade and flexibility I would say this is primarily a cutting sword and thrusts would be effective only through soft targets like cloth armours and flesh. I wouldn't hope to pierce mail with it. 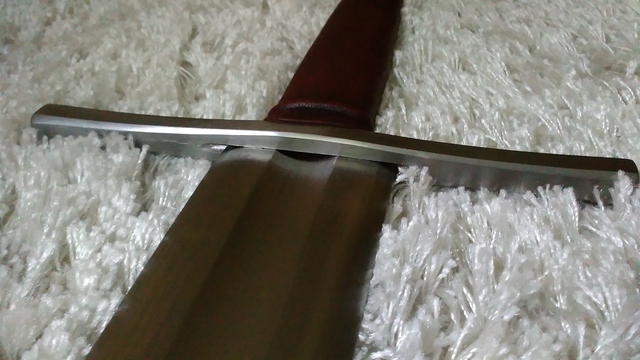 The sword is very fast and agile with two hands and can even be wielded with one, but recovery is slow and I would use it with only one hand only from horse or if I used my left hand to trap opponent's blade or arm and I have only my right to strike with. 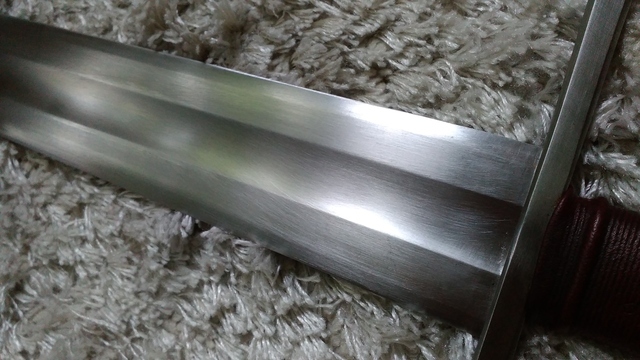 Whole sword is beautifully made and scabbard is especially a work of art. 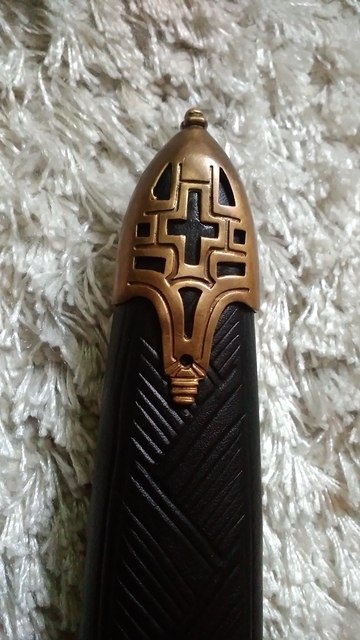 I won't say anything about the form of the scabbard as I didn't research these much and you can see it well in pictures. 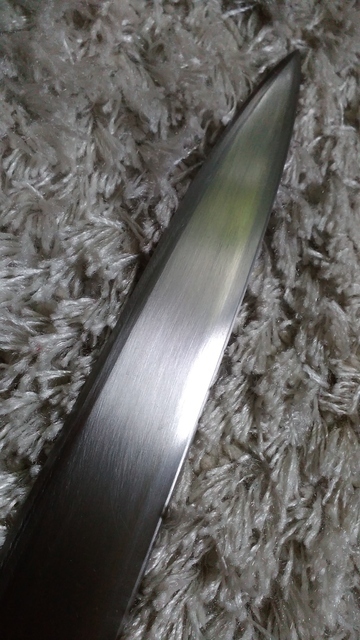 It's not only beautiful but it also has a great fit to the blade. 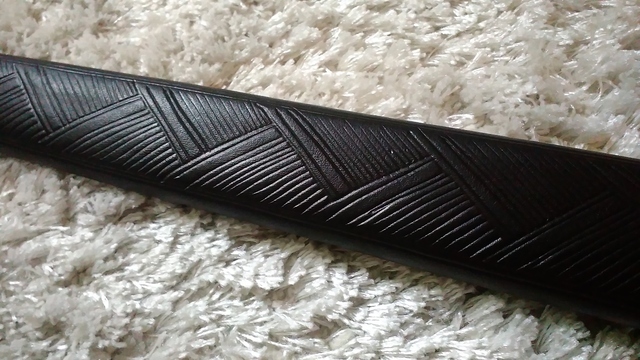 Leather is thick and high quality. Suspension system is simple but effective and comfortable. Grip is beautifully and subtly shaped and provides comfortable and secure grip. Leather is nicely soft and not slippery at all. Colour is beautiful oxblood. 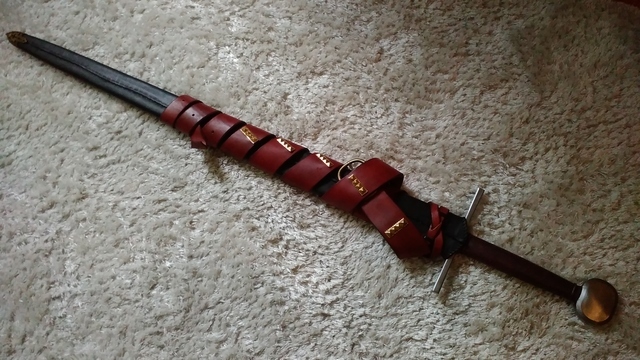 It goes nicely with Black scabbard and red belt. 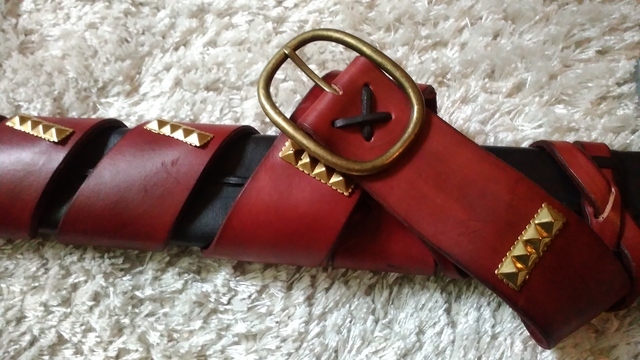 Brass fittings of the belt are nicely done and bring a "warm" feeling to the whole package. 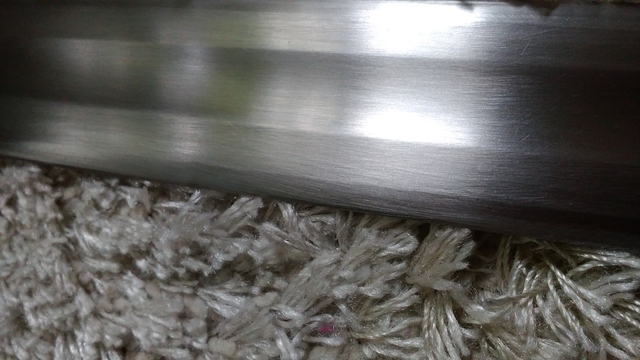 About the sword's edge, Maciej sends his swords with not very sharp edges as a default unless you specifically ask for a very sharp edge, so I got edges additionally sharpened before test cutting. With properly sharp edges, the sword cuts very well as it's expected from such a blade type. 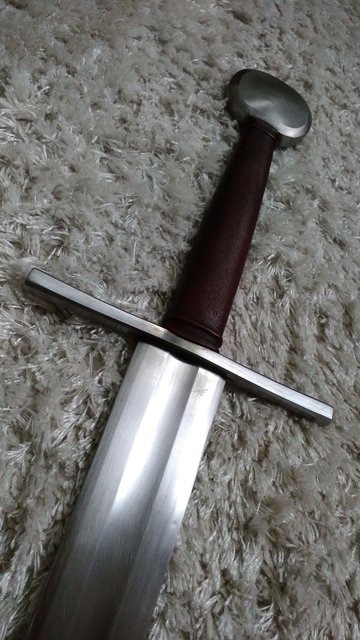 For a conclusion, I can say that what Maciej charges for his swords is very reasonable if you take into account that you get top quality, one of a kind hand made sword with a beautiful hand made scabbard. 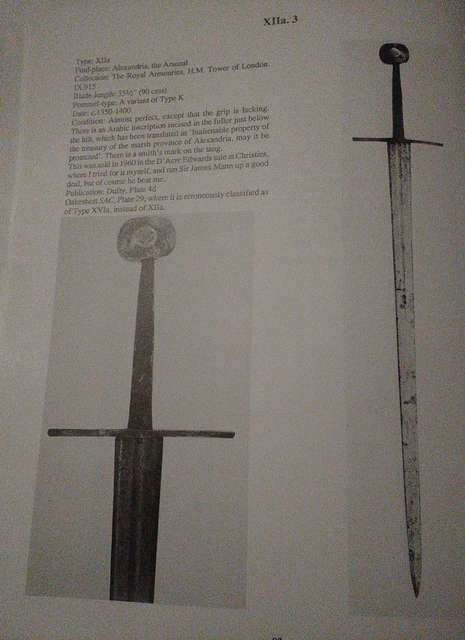 For me, the greatest value is that Maciej carefully researches a sword type that he plans to make and the sword you get is a good representative of a historical sword family if not a replica of a specific sword. Basically what Peter Johnsson did when he designed Albion's Next Gen Line. 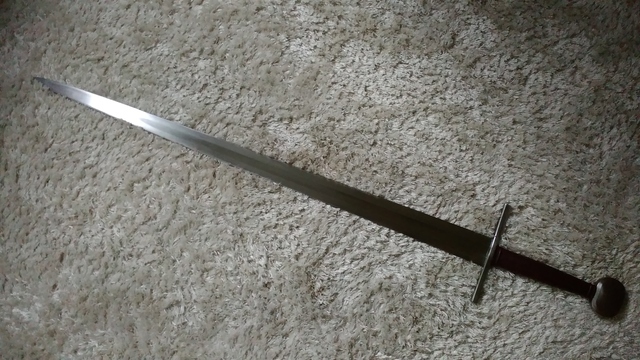 I would absolutely recommend Maciej to anyone wishing for an awesome authentic looking sword based either on a specific historical sword or an example of a broader family of swords. Hey nice review, thanks! Looks like a Great Sword to have indeed! I also enjoy all the historical information, and you must be proud to have a sword based on examples from your own country. 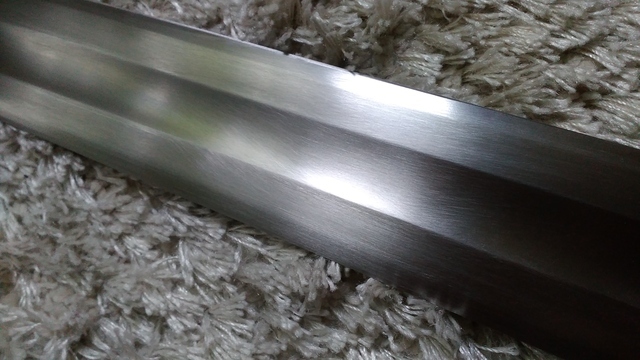 Everything looks very good, great photos, excellent scabbard! But I'll point something out. 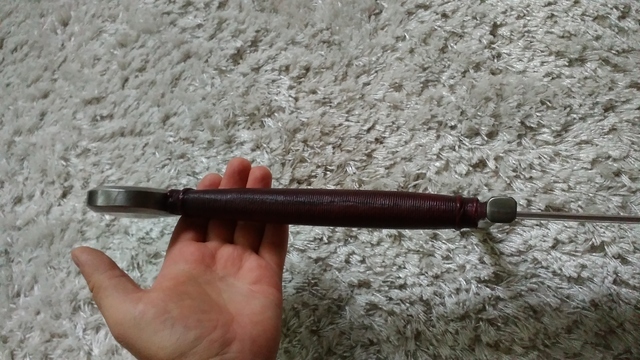 In your photo of the grip with your own hand, it's remarkable the careful shaping of the grip: as it narrows towards the pommel and swells towards the guard. This is a very professional and knowledgeable touch in my opinion, as a lesser maker or manufacturer might not bother. 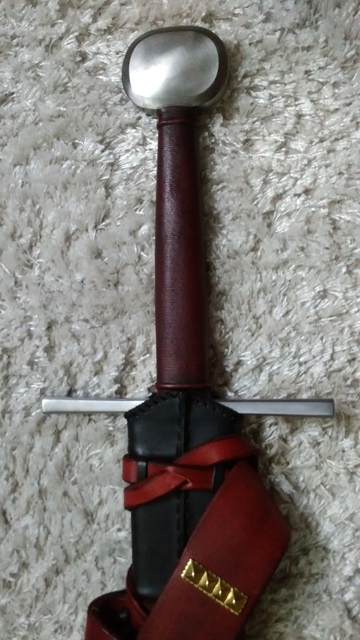 But this way it should help handling and balance quite a bit for the long sword, and it looks very comfortable. That's just my opinion based on the photo, but I would not be surprised if you think so too, and I'm sure Maciej gave it some deep thought and attention as he made it. 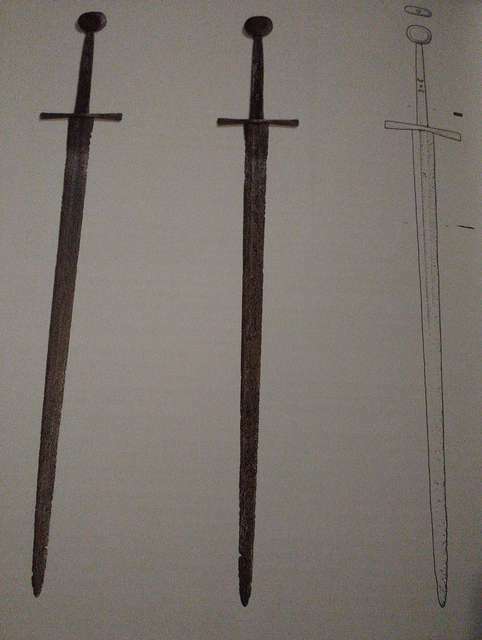 It is great to see such a fine recreation of a recognizable subtype of swords. 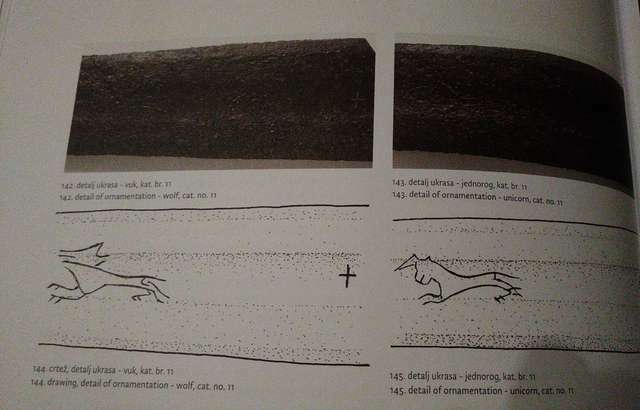 Could you satisfy my curiousity and please tell me the identity of the sword in the fourth image, and the second to last image with the wolf and unicorn markings? Thanks! 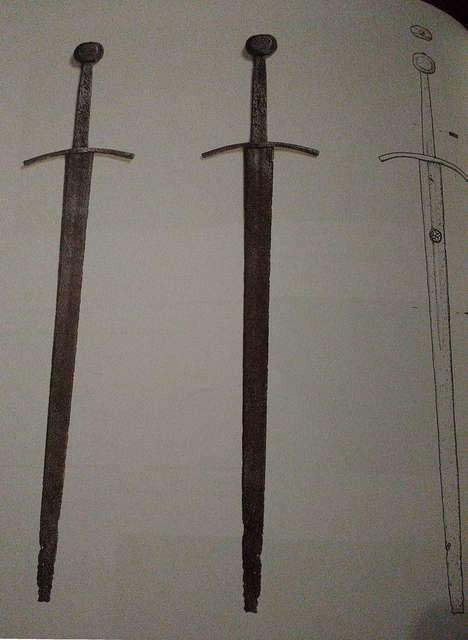 These two are from the catalogue of the Museum of History in Zagreb, Croatia, named "Swords of the chivalric period in Croatia". Thanks for the review Luka. 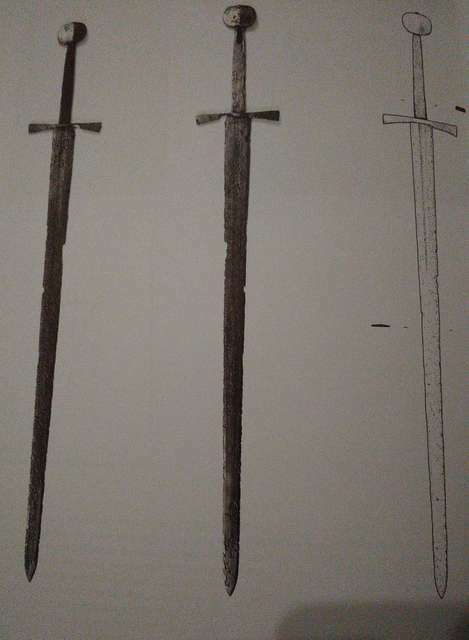 Its good to see you exploring swords from your region, and Maciej has really nailed that 'semihexagonal' blade geometry, which one often sees in museums but rarely in production swords. It looks like you have done some test cutting. How did the edge hold up? 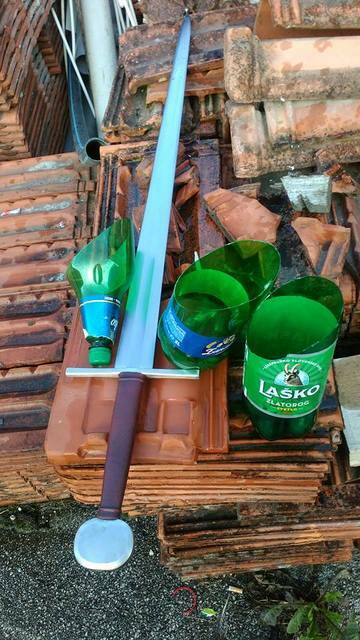 And what do you think of his style of finishing swords? Edge retention is good. Heat treat seems to be very good. 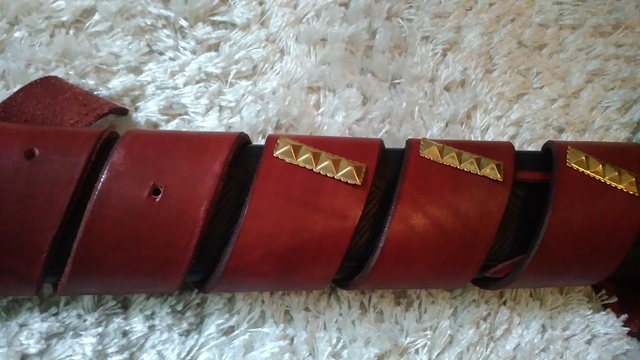 Finish of the leather parts is perfect. 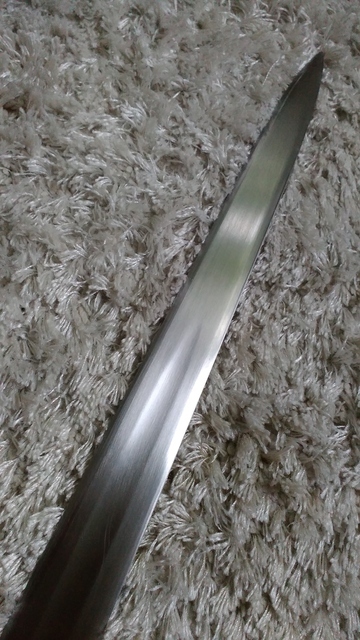 Steel parts are not as smoothly finished as Albion smooth satin, but I think that is Maciej's choice to keep finish similar to what he believes original swords were finished like. But if one ordered smooth or even mirror, I believe he would deliver. 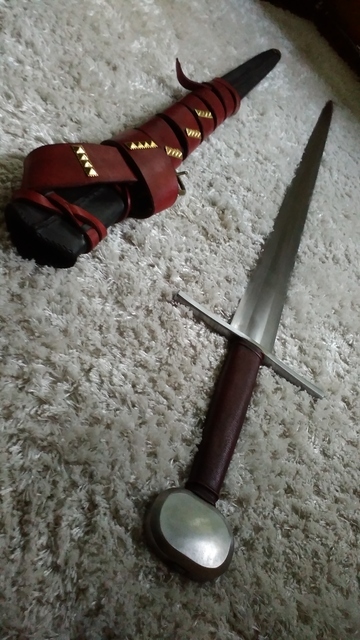 I understand if you choose not to, but I am a huge fan of in-hand or person+sword photos, so if you're willing, would you mind posting some pictures of the sword in hand, or someone wearing that great scabbard and belt set? Those stiffiners look very nice! Great looking sword and scabbard. Congrats! Enjoyed the review and pictures. I will post some pictures of myself wearing the sword when I get someone to picture me, selfies are no good.